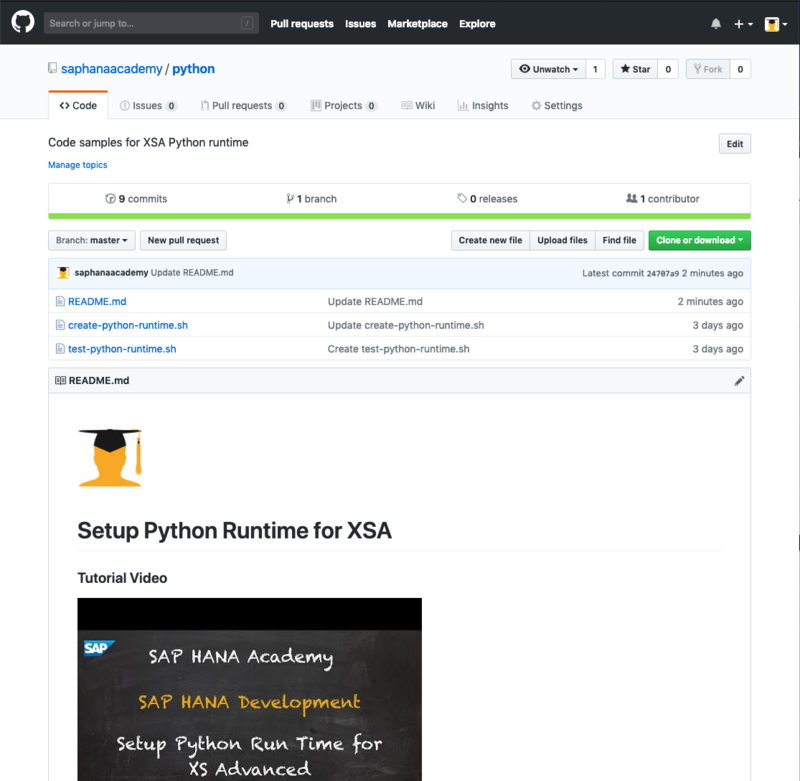 Last summer, Muhammad Altaf posted Getting Started with Python on SAP HANA XSA showing the steps how to install/create the Python runtime for SAP HANA XS advanced model. Judging by the number of views, this topic is of interest for the HANA development community. Hence, “to enhance your learning experience”, we have created a tutorial video where you can see this in action using two sample code scripts. In the video tutorial, we show how you –using SAP HANA, express edition running in Google Cloud, as example — how to prepare the OS environment, how to build Python and create the runtime. A simple test script generates a sample app to validate all is well in the best possible worlds. The code sample below shows how to clone the repository to your HANA development system. Every carpenter knows; before you can build, you need tools. An SAP HANA system, as an appliance, in express edition format, or when hardened, does not include any build tools. Not needed, overhead, potentially insecure. 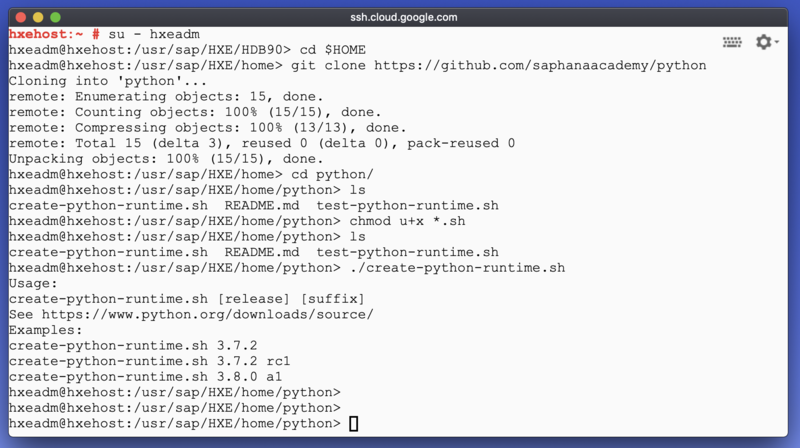 To build Python runtimes, you will first need to add the required packages to your system. Should you still have issues with building, on a development system, consider to install the Basis-Devel pattern. If you prefer, you can use YaST2. Note that the path here is a hardcoded HXE. If you are not using the express edition, change the path to the SID. return "Hello World from Python $1"
To upload the app, we switch to the development space and push (upload) the app to the runtime. For housekeeping, we delete the app first (if present). Note that “development” is one of the spaces available out-of-the-box with SAP HANA, express edition. If you are working on a regular platform edition, you might need to change the name otherwise xs push will default to the ‘SAP’ space (not recommended). I’am trying to follow your Tutorial but I’am not able to doit because HANA Express (On premise VM) doesn’t come with any repositories configured by default and i’am not sure which repos to use. Can you please point me in the right direction? Once you have registered the VM, the default repositories will be available. 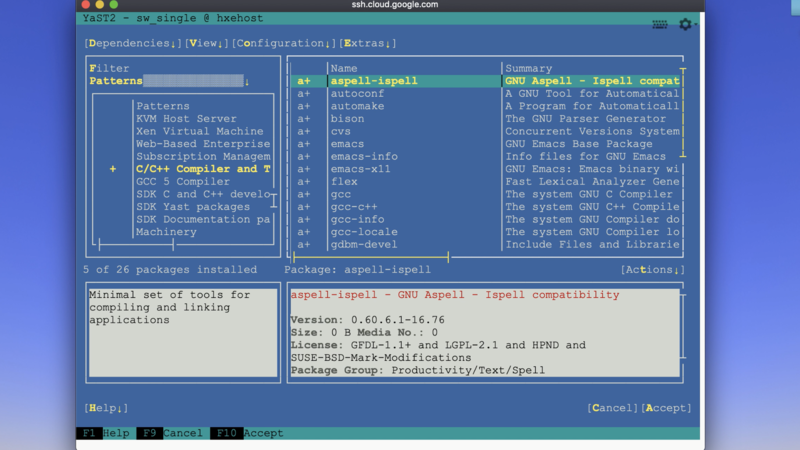 The cloud-based VMs (Google, Azure, etc.) include an OS license (for which you pay the IaaS provider).